The British Council, in collaboration with The British Library and Chhatrapati Shivaji Maharaj Vastu Sangrahalaya, Mumbai, is delighted to bring First Folio – the first collection of plays by William Shakespeare – to India for the first time. 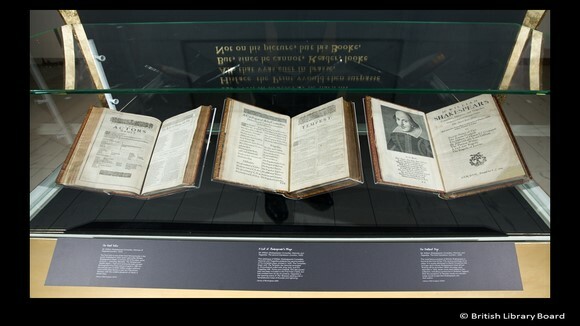 One of Britain’s iconic documents will be on display for Shakespeare’s lovers in Mumbai from January 20 – March 08, 2017. The collection was first published in 1623 as a bulky book of 900 words in London. The collection is significant because 18 of these plays would not have survived, and most of the other prominent plays would be known to us only in the imperfect form. The collection was put together by two of his friends and acting colleagues, John Heminges and Henry Condell. The collection is being sought out book collectors, libraries and museums as only 400 complete copies survive from the original print out of around 750. This collection was first owned by King George III; only in the late 20th century it was re-bound in burgundy goatskin as part of conservation treatments by the British Library.